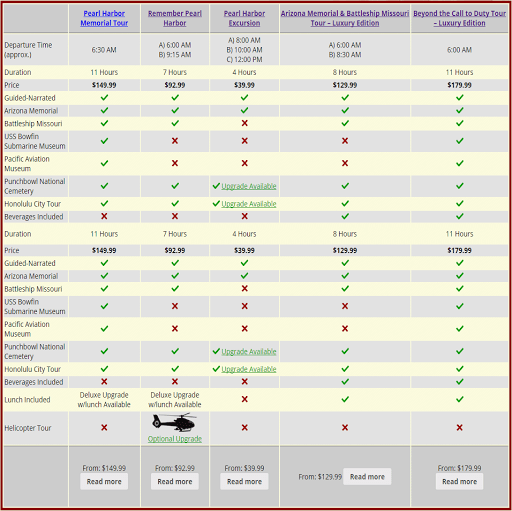 Kauai to Pearl Harbor tour including flights, admissions, and an expert guide. 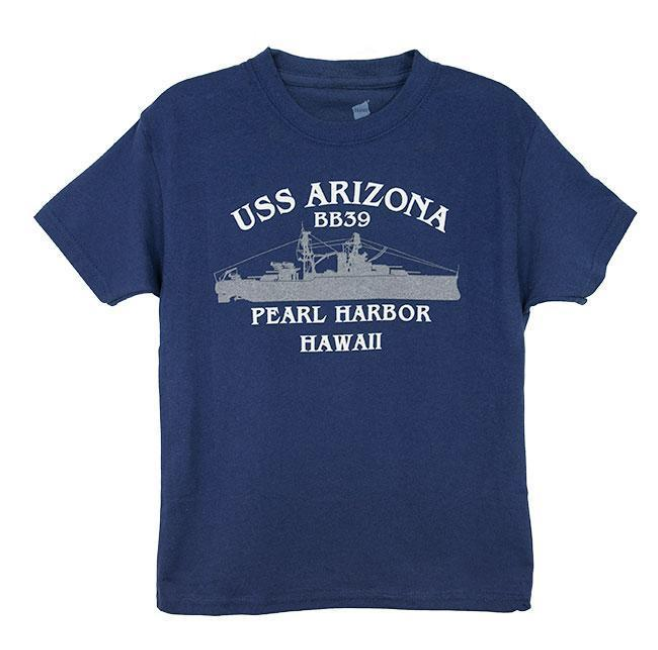 Want to visit Pearl Harbor, but you’re staying on the island of Kauai? This is the tour for you. This one-day inter-island tour from Kauai to Pearl Harbor includes round-trip airfare, admissions, and transportation on Oahu. The flight from Lihue to Honolulu International Airport takes approximately 30 minutes and if you’re sitting on the left side of the jet you can see Pearl Harbor as you approach. When you arrive in Honolulu, a professional tour guide will greet you and begin your tour. A few minutes later, you will arrive at the Pearl Harbor Visitor Center of the World War II Valor in the Pacific National Monument. The Arizona Memorial portion of your tour includes a 23-minute film about the 1941 Japanese attack, a US Navy-operated shuttle boat to the memorial, and reflection time on board the majestic USS Arizona Memorial. Adjacent to the Visitor Center is the Bowfin submarine. Admission is included and you will go below decks on this historic WWII submarine. Bowfin has been called the “Pearl Harbor Avenger”and was commissioned exactly one year after the attack on Pearl Harbor. Next, our tours are authorized to drive across the Admiral Clarey Bridge to Ford Island. Ford Island is an active Navy base, and has been used in several films including Battleship and In Harm’s Way with John Wayne. Battleship was filmed on the Battleship Missouri. This ship has a rich history. She entered WWII in 1944 and fought in the battles of Iwo Jima and Okinawa. The Missouri is the site of the Japanese surrender in Tokyo Bay,where World War II came to a formal end. This tour includes a guided tour through the ship where you will marvel at the massive guns, look over the edge at a dent left by a kamikaze attack, and stand on the site of the Japanese surrender. The Pacific Aviation Museum is filled with WWII planes and stories about aviation at Pearl Harbor and the Pacific. New exhibits are always being added and the flight simulators are a blast. Be sure to book early since this tour includes flights. It’s very respectful how they chose to show the ship & honor the men & women that died that day. The feeling of sadness was so overwhelming whilst looking down at the wreckage with its sailors still entombed in its final resting place was gut wrenching!! A very moving, educational and historical experience. A must see if you are in Hawaii as island hopping from Kauai was a cinch. Overall tour was fantastic, got to see alot of Pearl Harbor that we wouldn’t have otherwise been able to due to the short length of our stay in Kauai. Add in the Punchbowl National Cemetery and I was feeling super patriotic. We were able to pay our respects while learning a lot about the attack that we never knew. Awesome tour. Every American needs to visit. It’s a moving, humbling experience. We toured the USS Missouri, the USS Arizona Memorial, and the Punchbowl National Memorial Cemetery of the Pacific. Plus Honolulu’s historic district. Learned a lot. It was a long day, but was happy to feel a part of respecting history. Having pearl harbour on our to do list whilst in Hawaii we made sure to allow a day to doing only that. I can’t explain the emotions that came with it! Just the history lesson alone is worth making the flight from Lihue. The USS Arizona,is the tomb for those still inside, along with the memorial above. Beautifully done. Lovely to see fish swimming around amongst it all to help created something of beauty out of the sadness. Glad we did this tour. We planned an epic 3 week vacation to Hawaii and island hopped making our home base in beautiful Kauai! Pearl Harbor will definitely stick out given this was a major part of our history. Respect to our fallen heroes.